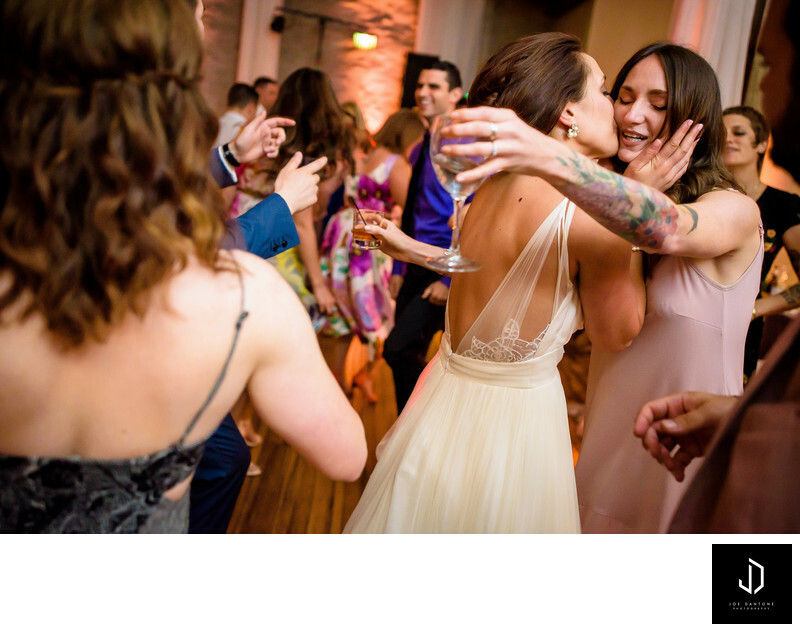 Front and Palmer is a wedding venue based in Kensington Philadelphia. this philly wedding venue is best known for its textures an mood created by the exposed brick, and ceilings. This photo was photographed during this bride and grooms insane wedding reception at Front and Palmer.